If you’ve ever lived somewhere with a big, blank wall, you know how annoying it can be to just have it staring at you all the livelong day. 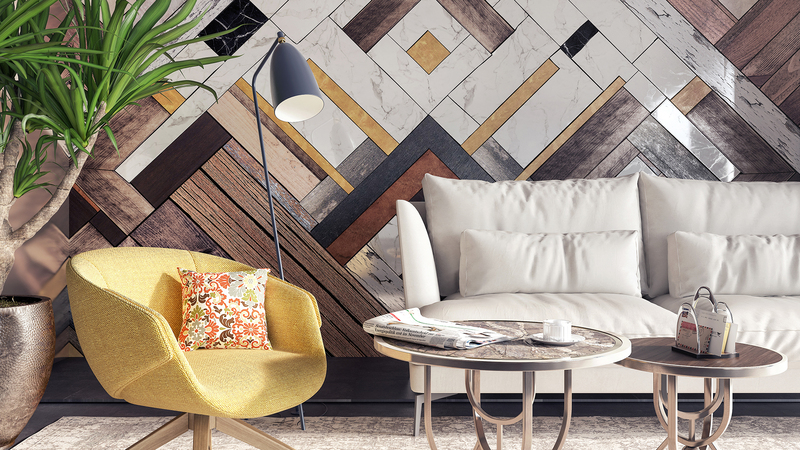 It doesn’t matter if you have the perfect furniture and layout — if the wall isn’t decorated, it can leave your home feeling hollow. 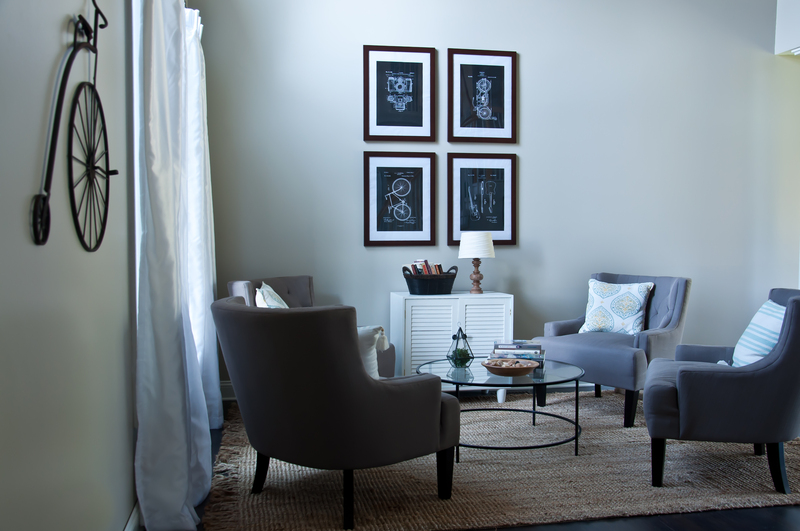 Instead, try a simple DIY wall art project. 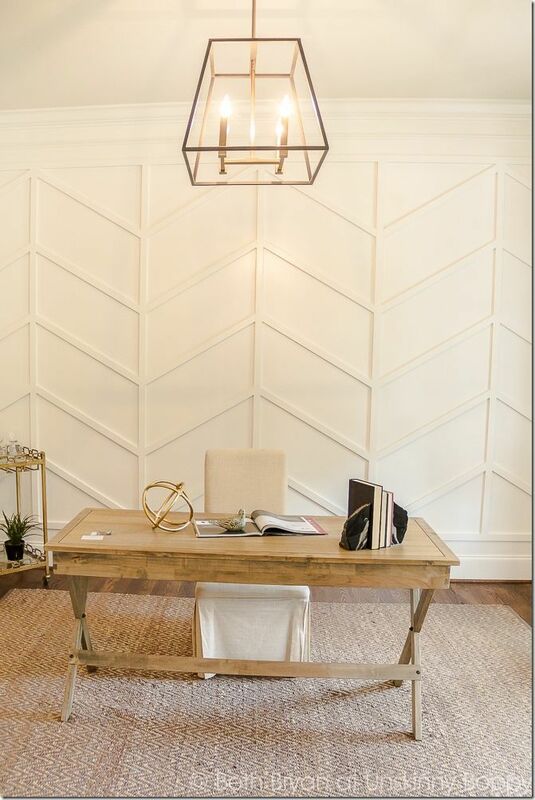 You’ll save money (large store-bought art pieces are usually extravagantly expensive), and you won’t have to worry about hiring someone to hang wallpaper. You’ll also be able to customize it perfectly to your tastes instead of having to settle for some generic painting from the local big-box store. Whether you opt for a fun DIY project the whole family can get involved in or go for something that requires a little more expertise, these inexpensive options will transform your home on a budget, leaving you with a little cash left over to help celebrate a job well done. Inexpensive MDF (a type of easy-to-use particle board) and some leftover paint are all you need to create this bold accent wall. 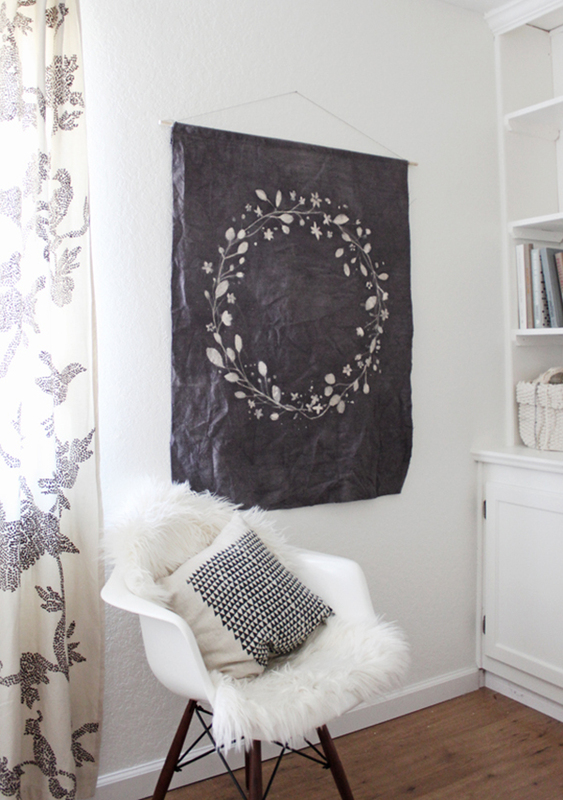 This inexpensive art project results in a fabric wall hanging that looks like it cost a pretty penny. Image: Little Red Brick House. 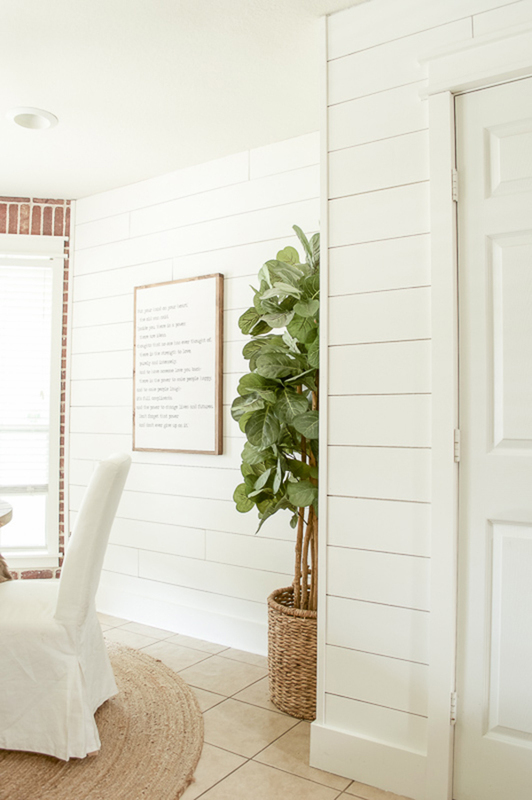 Give your home a country-chic makeover with an easy shiplap wall made from plywood. Large-scale artwork can be pricey, but this project uses free patent images blown up onto inexpensive engineering prints from Staples to make a big impact. Check your local dollar store for inexpensive frames. 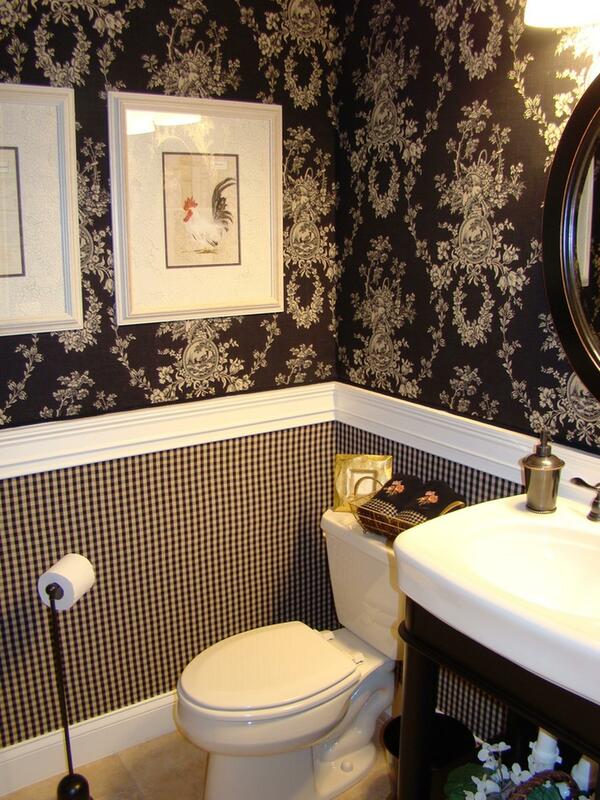 Wallpaper is expensive to buy and expensive to hang. Plus, it’s usually permanent. Instead, you can DIY your own removable wallpaper by using fabric and liquid starch. Image: Pancakes and Glue Guns. 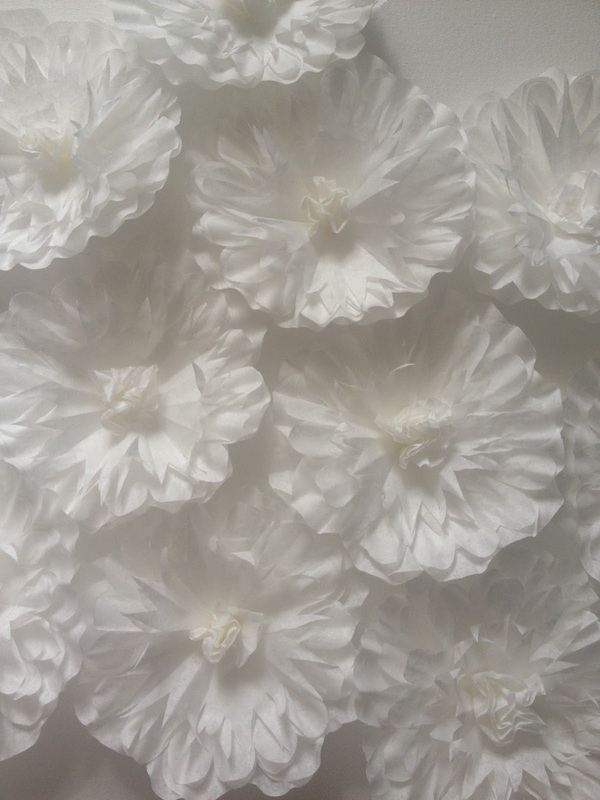 Mimic the luxe style of the Kardashians and their ilk with a glorious flower wall… made from coffee filters! Are they fish scales, mermaid scales or oversize sequins? Who cares — they make any room look totally fabulous. It takes patience to make this art piece but not a lot of dough. 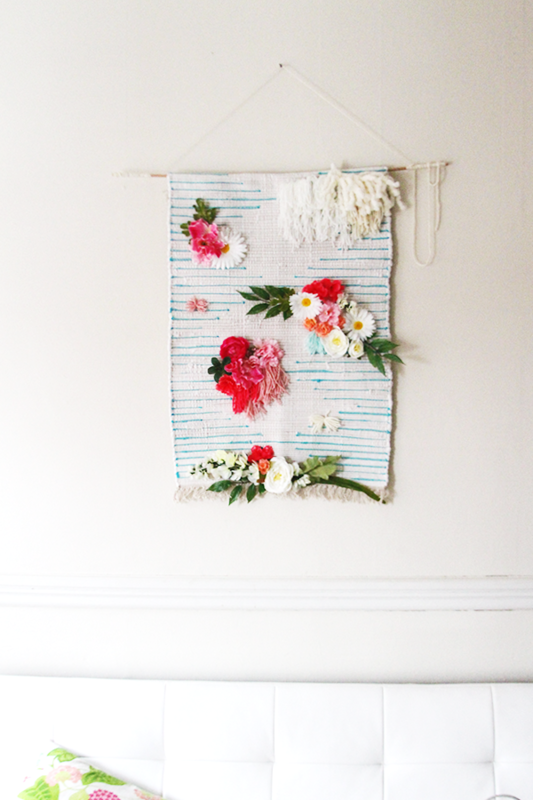 Embellish a woven throw rug with flowers and hang it on the wall to create this unique, colorful tapestry. 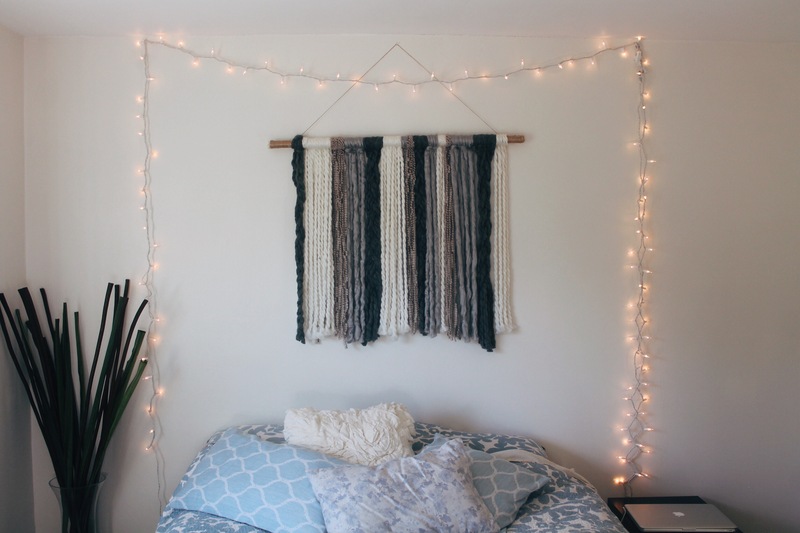 If weaving is a little too in-depth for you, this simple hanging yarn wall tapestry will do the trick. Frame it with fairy lights for even more impact. Image: I Am Momma Hear Me Roar. Go to a junkyard, dump store or flea market to score an old vintage window frame. 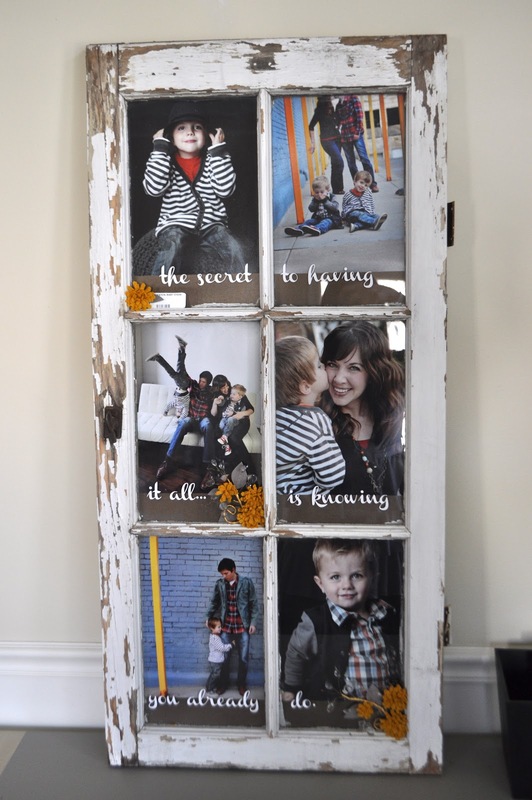 Then fill it with your favorite family pictures for a quick and quirky wall accent piece.